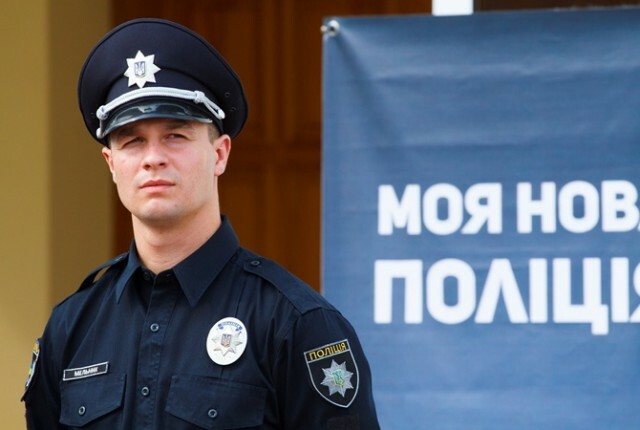 The head of the Ministry of Internal Affairs of Ukraine, Arsen Avakov, and the head of the patrol police, Oleksandr Fatsevich, presented the new head of the patrol police of Kharkiv. The meeting, which was also attended by The Ambassador of the United States in Ukraine, Geoffrey Pyatt, was held in Kharkiv National University of Internal Affairs. “Our country needs real patriots and loyal citizens. Eugen Melnyk, Lieutenant, one of the best patrol policemen of Kiev, is undoubtedly such a person”, – said Arsen Avakov. Reference: As reported by the Interior Ministry, the 27-year-old Eugen Melnyk from Kiev – is the 8-times champion in rowing. Eugene graduated from the National University of Bioresources and Environmental Sciences of Ukraine and the National Transport University. The police lieutenant worked in the patrol service in Kiev and has already managed to uncover several high-profile crimes. Recall that on September 26, Kharkiv patrol police will take the oath at the Freedom Square.